Please feel welcomed to use the form on this page to contact me about services, I’m happy to answer any questions you may have or provide an estimate on your project! Why should I use Ms. Clean? Ms. Clean has been providing local residents with flexible and reliable residential cleaning services since 2008. I’ve cleaned homes for nearly a decade! By now, I’ve perfected my formula for great service. I know that you’re an individual with circumstances that are entirely unique to you. I help you identify what your needs are, then I provide you with services that have been specially tailored just for you. How do I know I can trust Ms. Clean? Trust is a vital component of my business. I pride myself on having earned the trust of hundreds of customers throughout the many years of my company’s success. I have great references that are available to attest to my trustworthiness. It’s as easy as giving me a call! The first thing we I’ll do is discuss your individual cleaning needs, and to give you a free estimate. I will provide you with a comprehensive list of my wide range of services, so that you may choose what you’d like me to do for you. Together we will create a work order tailored to your specific requests, and you will be provided with a copy. This is not a contract, but merely another way to guarantee you my personalized, consistent and timely service. 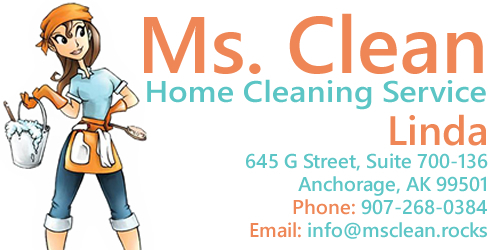 Ms. Clean offers regular housecleaning on a weekly, bi-weekly and monthly basis. In addition, I am available for special one-time cleans. These include move-in/move-outs, deep cleans, new construction clean up, and occasional maintenance cleans for customers that just need a little extra help. My most popular visit is every two weeks, but I will schedule according to your needs. Absolutely. I have a 100% satisfaction guaranteed policy. My goal is to give you the best cleaning possible each time. If something is not done to your satisfaction, call me within 24 hours and I’ll correct it for free, or give you a credit on your next clean. Pets are not a problem. I do need to be notified if you own pets, and I like to know their names. If you have any special requests regarding your pets, or there are any special circumstances I should be aware of, I will want this information to be included on your work order. Copyright © 2019 MsClean.Rocks - All Rights Reserved. Design By WPTechs.